Photographs by Christophe Agou. Introduced by John Berger. Dewi Lewis Publishing, 2011. 144 pp., 77 color illustrations, 9½x11½". In the Face of Silence is a powerful and moving portrait of the hard lives of French farmers living and working in the Forez region of France. Born and brought up in the area, photographer Christophe Agou travelled to the less-known parts of the region, where he felt inspired by the silence and moved by the people he encountered. Over time, and through the gradual process of building trust and friendship, the farmers and their families accepted him and allowed him to both photograph and film their daily existence. The challenge was to go beyond just documenting their labor-intensive lives and present a deeper, more intimate portrait. The resultant work is a meditation on life and death as well as on the silence and solitude that are ever present in our lives. 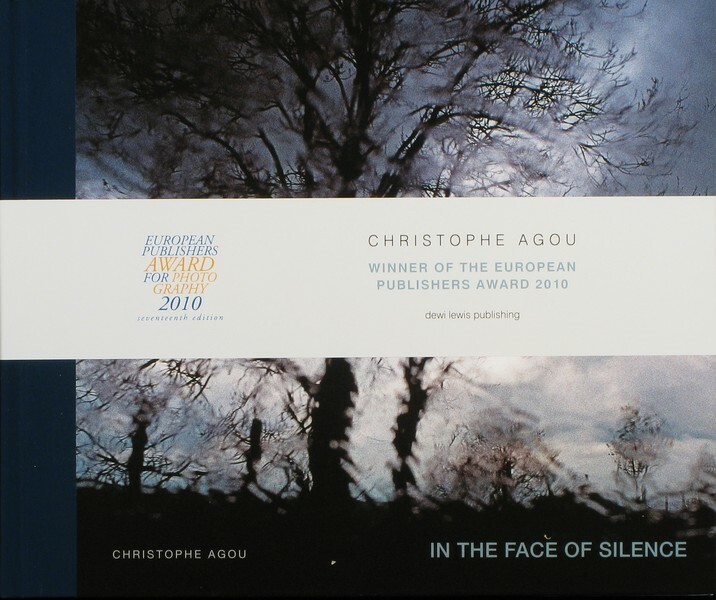 Christophe Agou is noted for his personal documentary-style in both black-and-white and colour photography. His intimate images both haunt and intrigue – and create an intensely rich, layered, visual language. Read Adam Bell’s review of In the Face of Silence in photo-eye Magazine.